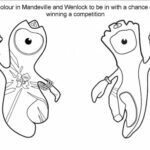 The Olympic Games is probably one of the biggest and most well known sporting event in the world – yes, there are others in racing, golfing and tennis – but nothing quite captures the hearts and minds of people as the Olympics. New to Red Ted Art? Why not subscribe to email in the top right hand corner of this page. Or join us on Google + and Facebook! 5 Interlocking Rings – Designed in 1912, when the present day Olympics were established – the 5 represents the five parts of the world who support the Olympics. The colours blue, black, red, yellow, green on a white background representing all the colours on the flags of the supporting nations (at that time). The Torch & Flame Relay – a tradition started in at the Berlin Olympics in 1936 – the torch is lit at the site of the Ancient Olympics – Olympia (Greece) and relayed to the site of the current Olympics of the course of several months. Carried by athletes, politicians and ordinary people. Medals – as per many sporting events, the are medals for the top 3 winners – gold, silver and bronze. Kotinos (or wreath) – in the Ancient Olympic games, there were no medals and only one winner. This winner was decorated by a horse shoe shaped wreath made from olive branches made from a sacret tree near the temple of Zeus. Mascots – Mascots were first introduced in the 1968 Winter Olympics held in France. Popularised by the Misha during the 1980 Summer Olympics held in Moscow. 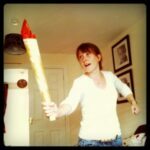 And if your kids are after a “real Olympic Torch”, how about this fantastic one from Domestic Goddesque? You will need a cheese grater to make this one.. yep, you read correctly – go find out for what! 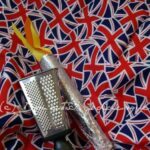 Well.. if you don’t want to use a cheese grater for special effects, then check out this second fantastic touch over at Not A Tiger Mum. Love the action shot! Another great way to practice your “letters” – make a t for torch a la No Time For Flashcards. Simple, cute fun and a great way to practice the letter T! Hooray! 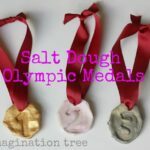 Now if you haven’t visited The Imagination Tree, now is the time to do so.. packed full of playdough and saltdough recipe ideas you will always find something fun to make – and she has great ideas to make it “easy” for small hands to help. Here we have some fabulous Olympic Medals. 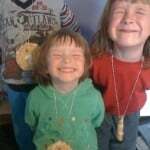 Now there is nothing better than getting out that tin foil and making some medals with the kids! 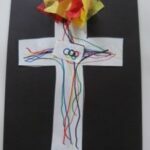 I particularly like, that Mum in The Madhouse showed the children examples of previous Olympic medal designs and discussed their meanings with the boys. I love love love the photos of her boys crafting and designing away and looking very pleased with the result! This one may be one for our School Summer Fair! And if you don’t want to “make” any cookies, why no “bake” some cookies the way Me and My Shadow did? Mmmmh I do fancy one of those! More medal cookies! How fun and cute are these?! Find out more on Inspired by Family Mag! Aly at Point2Plus4 loves to cook and bake with her kids. She has a great resource of recipes well worth a look. 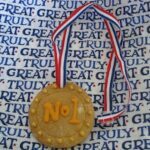 And here is another fabulous recipe – her Medal Cookies that she made with the children. Look at those happy faces! Brilliant. 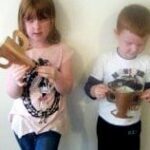 Here some cute, quick AND easy trophies that the kids over at Frugal Family made! 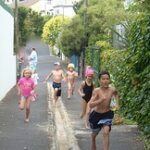 Then you can have your own olympic races and challenges and award your trophies at the end. Lovely. 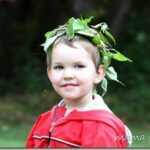 Keeping with ancient Greek tradition get the kids making a laurel wreath out green contruction paper or foam – there are two ideas for this on ehow to get you crafty! 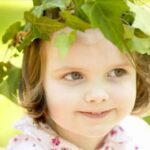 Who would spot the difference between an “vine wreath” and a laurel wreath? I think they both are very fitting for the Olympics and here one father got spontaneously crafty whilst doing a bit of tidying in the garden. It doesn’t take much as Mama Smiles shares with us! Check out this very simple to make “shooter” game inspired by Javelin throwing. Get crafty and then get activity. 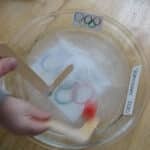 Live At The Zoo shares their Olympic Activity! lon snacks. Se7en is SUCH a cool mum! 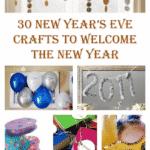 Get crafty and then get active! 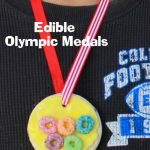 A great craft to include if you are having an Olympics Party or Olympics Street Party… and then when you are all done, of course you will need chocolate medals. Check out more from Mummy Mummy Mum! 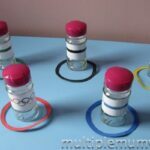 A simple idea to make your own Olympic Memory game. Practice some cutting skills, talk abouta ll the different sports and then get playing. Find more on this Olympic craft here. Oh.. now I know we are heading towards the Summer Olympics, but this Ice Hockey game is sooo cute, I simply had to include it in this round up. What a clever idea from Toddler Approved. Hop right over and check it out! 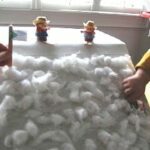 Another adorable and creative idea from Toddler Approved – skiing and bob sleight piste. What fun! 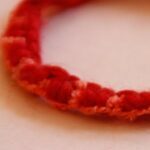 And if these are not enough, visit the other Olympic crafts on her blog – all cute and adorable! Hooray. 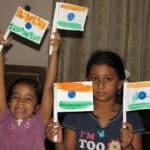 I love love love these simple flags from Putti Prapancha – I spotted them a while back, when she made them for India day and I think they will be perfect for the Olympics too! 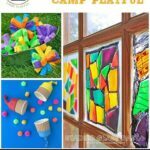 The fun part about these is that you only need paper and a little tape! Genius. 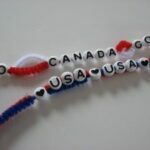 Get your kids engaging with letters – buy some alphabet beads and then make your olympic bracelets – brilliant – such a cute idea from No Time for Flashcards, check out her post for what to use to thread them with and more letter fun. Love the simplicity of this fun fun fun sorting activity. 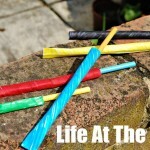 Easy to make and set up.. and lots of colour recognition fun! 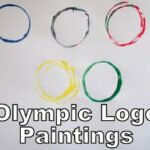 You will NEVER guess what these olympic rings are made out of “random upcycling” at its best – Things Bright had the great idea! 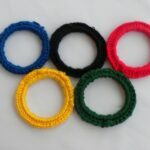 Even better than these mini Olympic rings, are these Macramé Bracelets – you can wear your Olympic Craft with pride. The Sister’s Guild shows us how! I think that maybe we could do these at the school fair? Maybe the children could do one at the fair and take materials home for the rest? 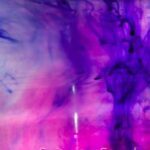 Oooh how about some DIY Fabric Painting – love the simplicity of this T-shirt and yet it is so effective! Great idea!! Thanks Me and My Shadow! 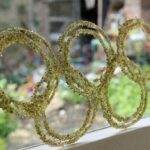 You will find a NUMBER of crafts for London Olympics over at Thinly Spread – but I do think these golden Olympic Rings are rather special – don’t they look fantastic against the window? Hop over and see all the rest! 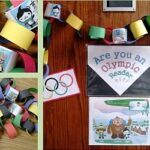 Of course – the humble Paper Chain – perfect for the Olympic Craft bonzanza at any school. I love the idea how all the children work on this together – real team effort! 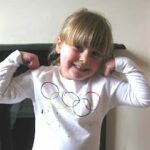 Calm Energy shares all her Olympic fun ideas for the day! 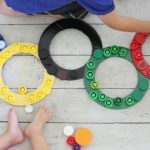 Aaah how cute is this “mini” Hoopla Game with the Olympic rings – perfect for a rainy afternoon or a play in the garden. Love that everything is made from recycled items around the home! Multiple Mummy shares her craft! 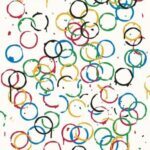 Does this Olympic Poster for London 2012 inspire you to Get Arty? This is by London-born Rachel Whiteread and I think it is FABULOUS! And I am sure will be an inspiration for many this summer. Read the full article on all Olympic Postsers in The Mirror Online. And look.. .Make Do & Friend did JUST THAT! and can you guess what favourite household item of mine she used to create this master piece with….? Oooh yum yum yum.. such a simple and yet so fun idea!! 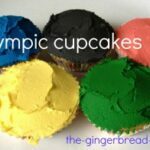 Olympic Cupcakes – why didn’t I think of these!! And am sure little hands would love to help! The Gingerbread House shares her recipe! Now there is no better way than finishing off the Olympics with a bang – and I am pretty certain that we will be seeing lots of fireworks at the end of celebrations. How about checking out Science Sparks and making some fascinating “Fireworks in a Glass”? Cool or what!? So… do you feel you are ready for the Olympics? 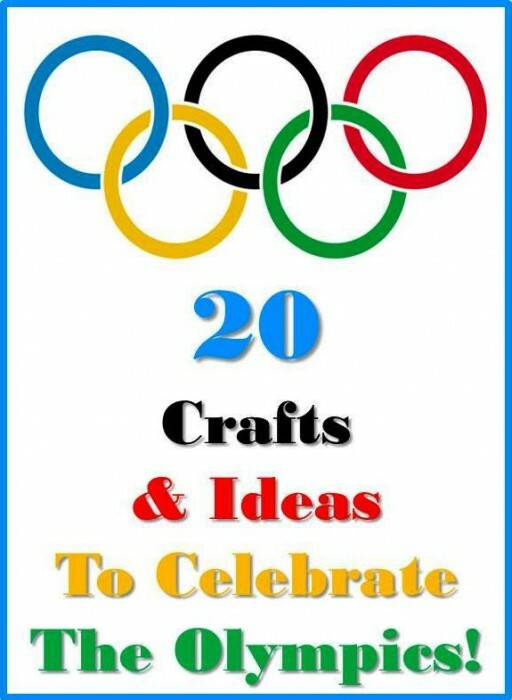 I do hope you found some Olympic crafts and ideas inspiration here… and that you will be getting crafty this summer! Ah thank you! And thank you for rising to the Olympics challenge!!! Love the Olympic Hoopla game. These are amazing. I love how you give people one simple word or theme and people come up with such a diverse array of ideas. Even I am going to attempt these!!!!!!! 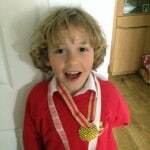 Thanks for getting everything together, our school fete is also olympic themed!! Oh @Super Amazing Mum that is music to my ears!!! I know how reluctant you are about crafting 😉 Hooray for school fetes too! What a fantastic round-up! I love the Olympic memory craft! Thank you MaryAnne and Emma!! And loved your contributions! Sorry didn’t finish mine in time. We did make something at the weekend but my camera lost all e pictures. Aaaagh! Oooh what a shame – would love to see what you made!! Do come and leave a link in the comments!!! Red Ted Art… Thank you – you whip the words right away!!! You are just such a cool promoter and thank you!!! I keep thinking we need to do something Olympian and then clever you discover that we have!!! Thank you so much… again and again!!! Wonderful! I love all these great ideas! What a brilliant selection. We will definitely be trying some of these! I think the ice hockey is my favourite, such a great idea. Thank you, and I agree! The Ice Hockey is such a brilliant idea!!! Wow what a lot of really fantastic ideas. Thank you, I was a “bit worried”, but everyone came up trumps! A fabulous collection of ideas and lots to work through this summer! I really love that simple fabric painting idea. So doable and cute! What a great collection! 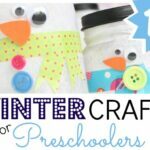 We’d love it if you shared it in our Crafty Showcase! 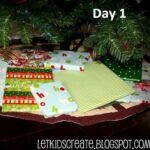 We also put out a challenge for our friends to link up Christmas! Hope you join the fun! Excellent resource as always Red Ted! 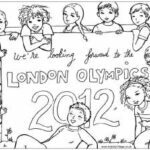 Hope you don’t mind but I’ve added this link to our page featuring children’s book about the Olympics. 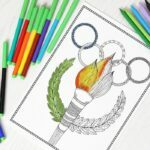 Thanks for linking up to our Olympic craft link party! Much appreciated! Oh Maggy! 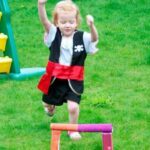 waht a fabulous collection, it looks great on the ‘Kids Bloggers Go Olympic’ – Bloghop! Aaah thank you Angelique.. I did a couple of months ago in prep for our school fair! So many more fantastic ideas out there now! And have a blog hop post all ready for tomorrow!